Angola, formerly Portuguese West Africa, was a Portuguese colony until 1951, when it became an Overseas Province of Portugal until 1975, when it gained independence. There were British consuls in Luanda from at least the middle of the nineteenth century, and consul-generals from the early 1900s. For an unknown number of years before 1921, British consuls leased the site of the consulate, of about 1.75 acres at 4 Rua Diogo Cão, now Rua 17 de Setembro. It was bought in that year for just under £1,000: although there were no deeds, the title was eventually registered in 1923. The east boundary of the site stepped steeply down to the lagoon, with rampart walls and buttresses. 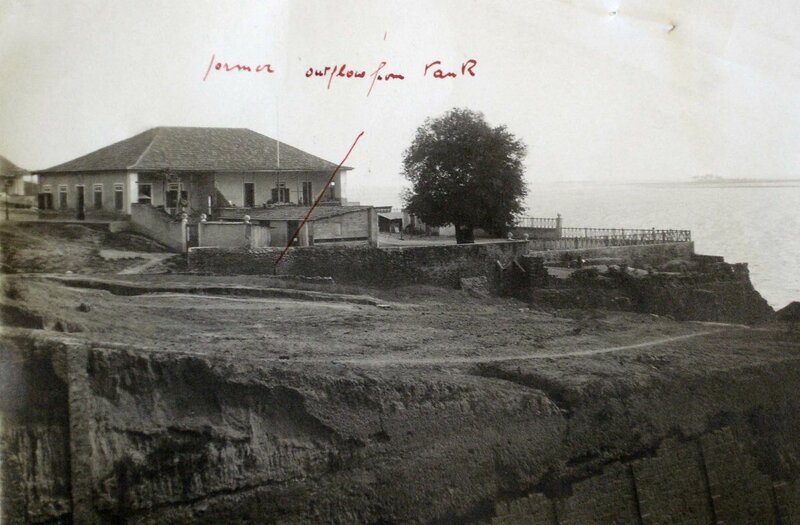 At the time of its purchase, the ruins of the old Portuguese Bishop’s palace could still be discerned in the south-west corner of the site, and there also stood a single-storey building, partly reconstructed in 1892, that was divided into two houses and served as the consulate. 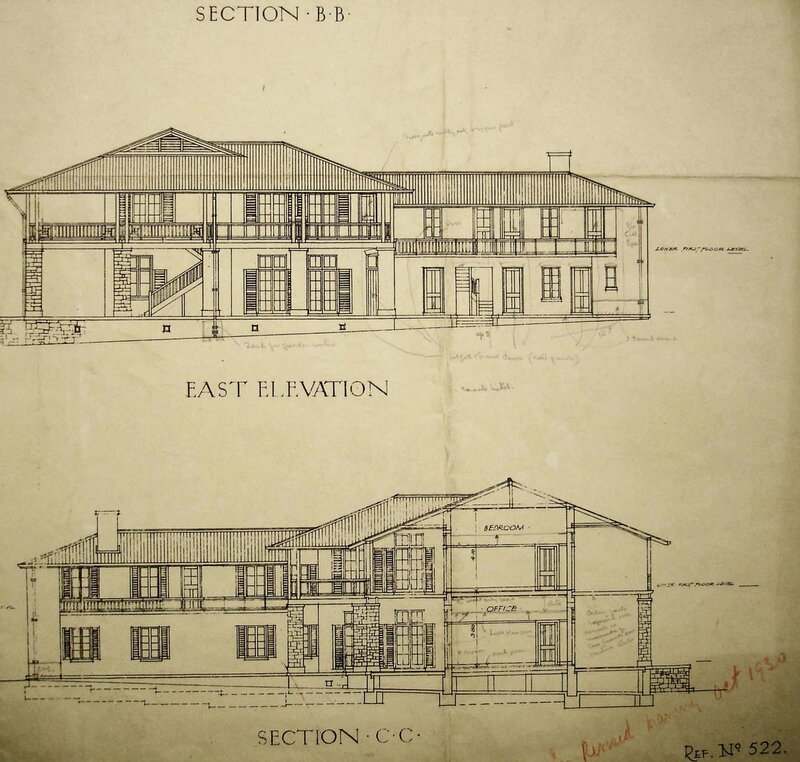 In 1927 the Office of Works produced a design for a new consulate with two office rooms in the residence and kitchen and servants’ quarters in a one-storey sideblock connected with a covered way: this scheme was never executed. Another design was produced in 1935 in which the residence and offices were separate but linked. This design was accepted, the former building was demolished in 1937, and the new buildings on its site were completed in 1938 for about £9,000, supervised by a clerk of works, a Mr Morran. Some cliff stabilisation works were undertaken at the same time. The offices, despite some extension, became overcrowded during the Second World War, and the Angola Coaling Company helped out by offering free overspill accommodation. 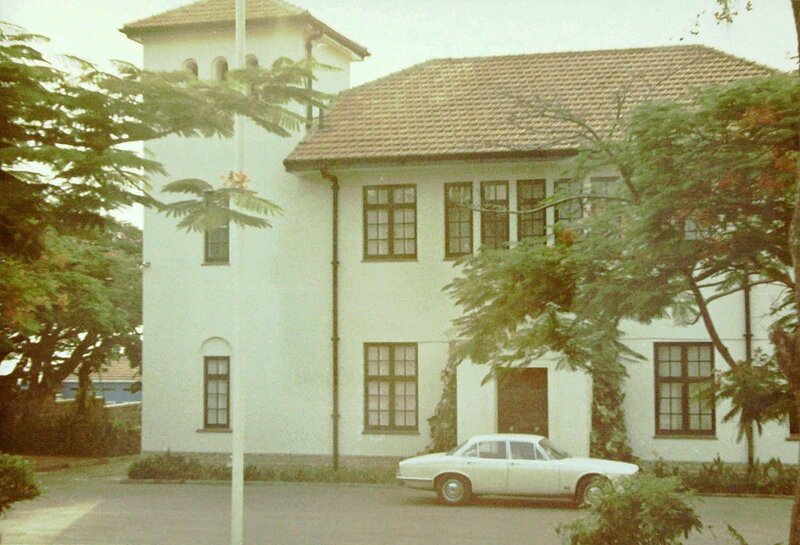 The Post was closed in 1975 at the height of the pre-independence fighting and re-opened, as an embassy, in 1978. 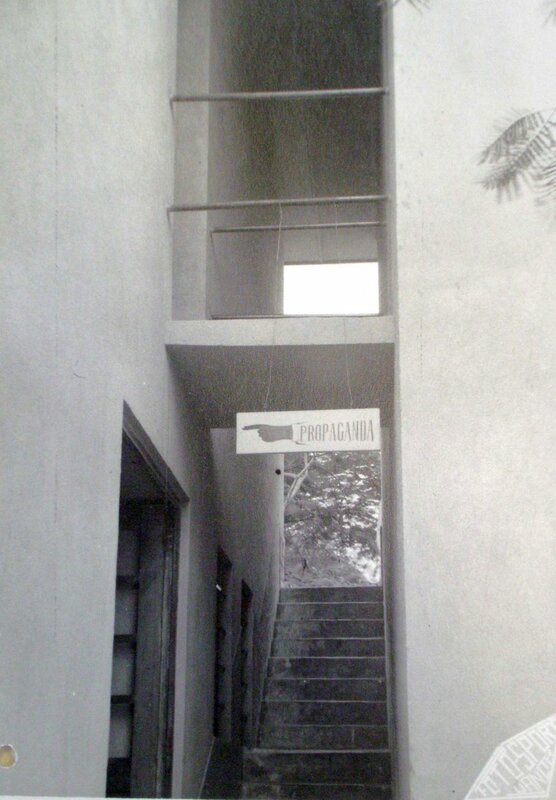 A small two-storey extension to the offices was completed in 1985. A terrace of three junior staff houses, designed by architect David Nicholson of the FCO’s Overseas Estate Department, and with working drawings by the architectural firm of Norman and Dawbarn, were completed in the early 1990s on the site of a former motor vehicle workshop lower down the slope at the west of the site. 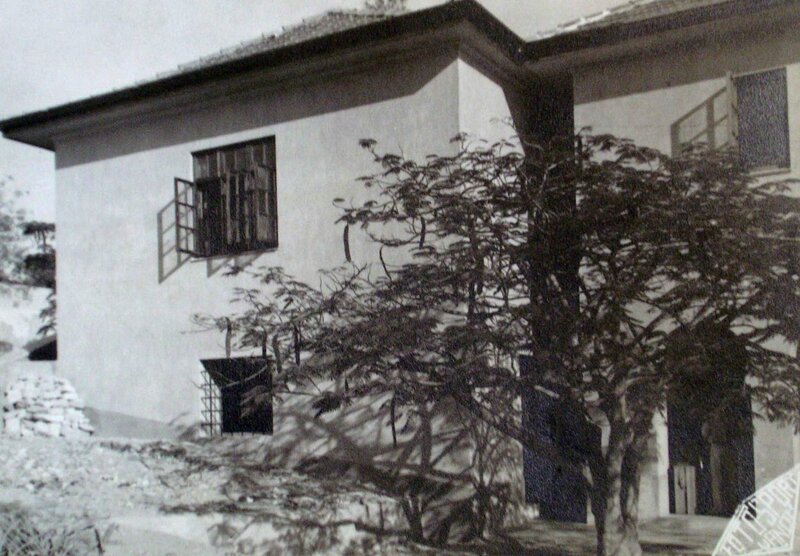 Consulate on the site when bought, c.1925. Unstable boundaries to consulate site, 1927. Ground floor plan of proposed new consulate, 1935. 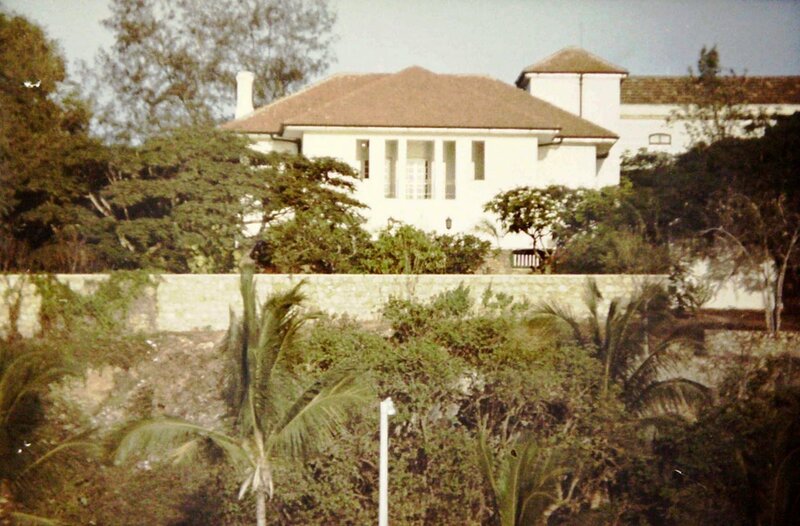 Rear of residence, viewed from the west, 1971. Terrace at the top, above flat walled garden,, above sloping garden to beach. 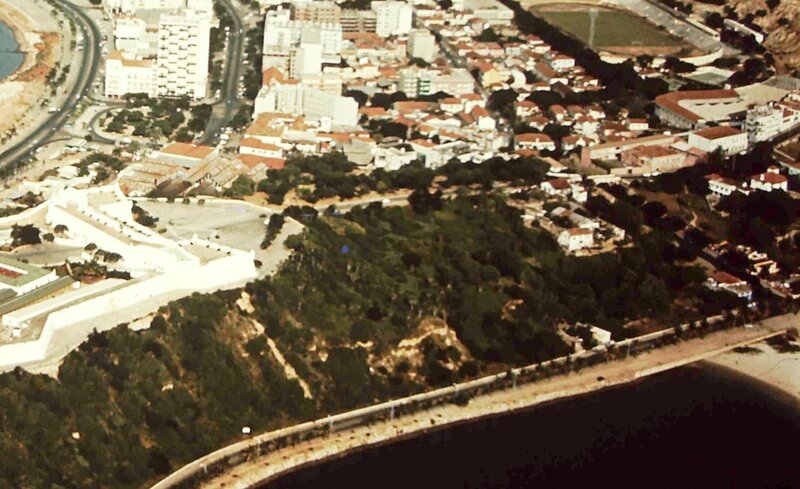 Aerial view, 1971, with the consulate-general centre right on the steep wooded slope down to the sea. 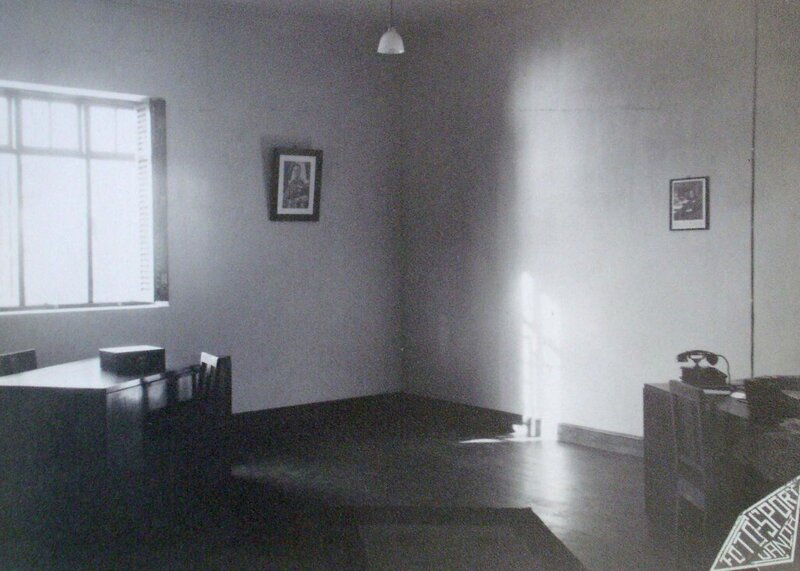 Interior of consul’s office, 1941. Looking west from the terrace, 1971. 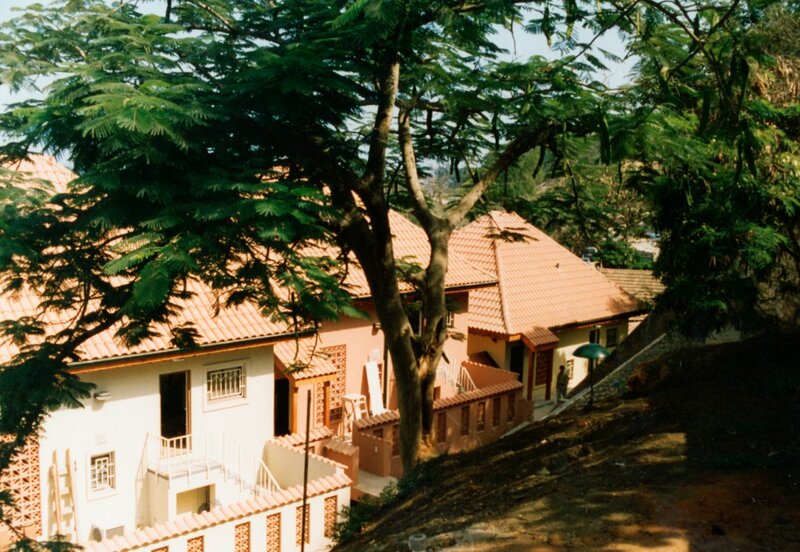 Three new staff houses, early 1990s. 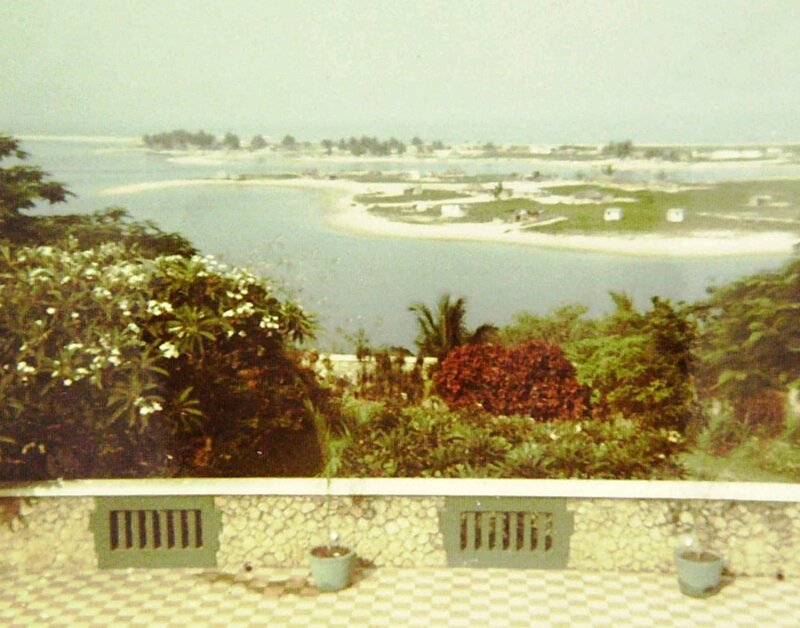 I am indebted to Martin Ford, son of Robert Ford, consul-general at Luanda 1970-74, for his kind help with advice and photographs in updating this page. 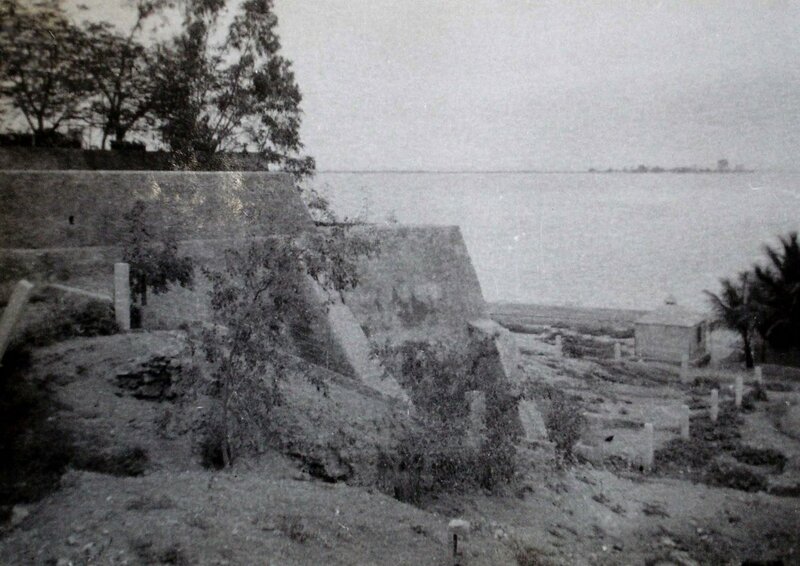 A site of 1,816m² was conceded by the Portuguese government in 1915 to the consul-general in Luanda, Herbert Hall. The concession had to be in the name of an individual because the laws of the Colony prohibited ownership of land by foreign governments. Hall paid about £270 and was reimbursed. The site, comprising Plots 38 and 39 of Block XVI, was on the long dune, or spit, that encloses Lobito Bay. Building parameters were strictly laid down and project proposals had to be submitted to the local Portuguese Director of Works. The vice-consulate building was designed by Thrift Reavell of the Office of Works in London and completed in 1916 at a cost of about £4,500. The Portuguese authorities finally agreed to the transfer of the site to the British government in 1937. The Post was closed in 1947 and the property sold in 1954. 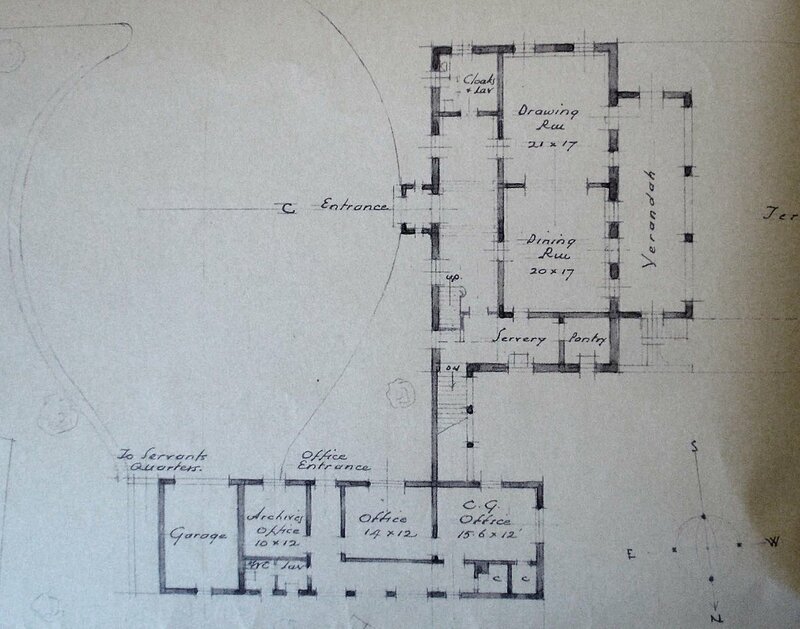 Drawn elevations for new consulate, 1914.